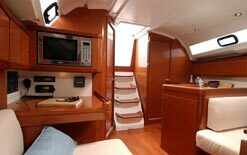 Chart table to port at the bottom of the companionway with control panel, GPS, DSC VHF radio, EPIRB and CD/radio player. 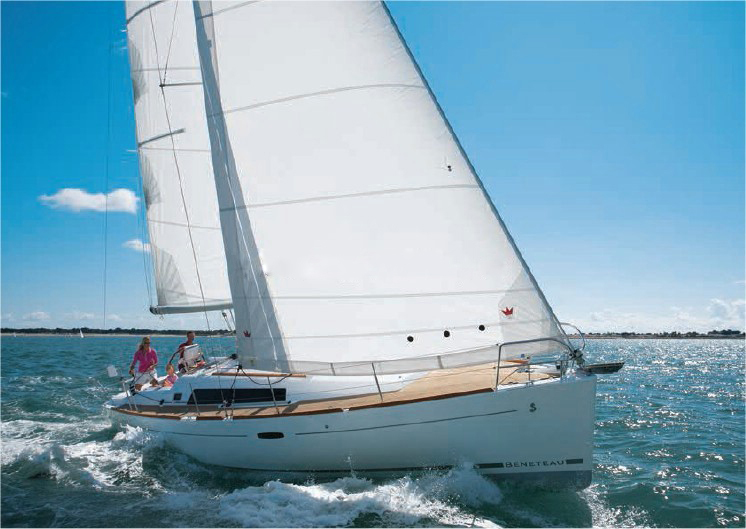 On deck the 37 has Slab reefing mainsail with lazy jacks & roller genoa. Instrumentation includes: An autopilot, wind, speed & log, echo sounder and chart plotter.